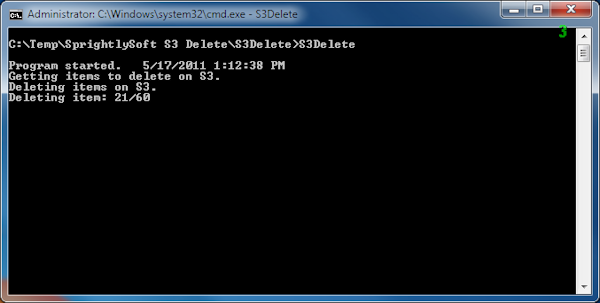 S3 Delete allows you to delete files on Amazon S3. You can delete a folder and all it's sub folders. You can delete files older than a certain date, and you can delete files that match a pattern. The application deletes files in parallel so your files are deleted as quickly as possible.